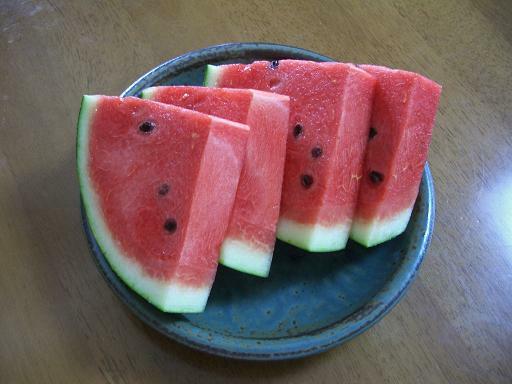 The watermelon I eat at breakfast is nice. The watermelon I eat at lunch is delicious, too. The watermelon I eat at dinner is, of course, also very good. These days I eat watermelon at all three meals. I wonder how many times I already enjoyed watermelon this summer. I'm on the road to becoming "Mrs. Watermelon".